In Japan, Monster Hunter X is out, and it’s, as expected, a smash hit. No doubt Nintendo hopes people will buy more than the game. 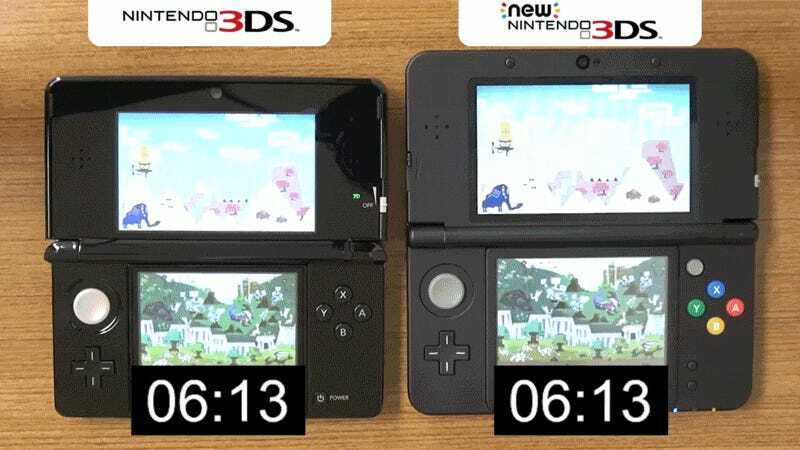 The Kyoto-based game company released a speed comparison between the Nintendo 3DS and the New Nintendo 3DS. You can play the game on either version of the hardware, but the NN3DS is so much faster. This is an official Nintendo video. We’ve known this for a while now! But here Nintendo is showing impatient Monster Hunter players that they can shave a few seconds off load times if they’ll only buy a New Nintendo 3DS. The reaction to this video has hardly been great in Japan. At the time of writing, the clip has 397 likes on YouTube and 1,868 dislikes.